Buoyed by the success of its World Oyster Festival, which it has been holding for the past five years, Greenwood Fish Market has come up with Crustacean Month, during which it will be serving high-quality lobsters and crab legs cooked in Asian styles at its outlets along Greenwood Avenue and Quayside Isle. For the entire month of March in 2018 customers in Singapore can dig into lobsters from Boston and Australia and crab legs from Alaska, United States and Singapore. 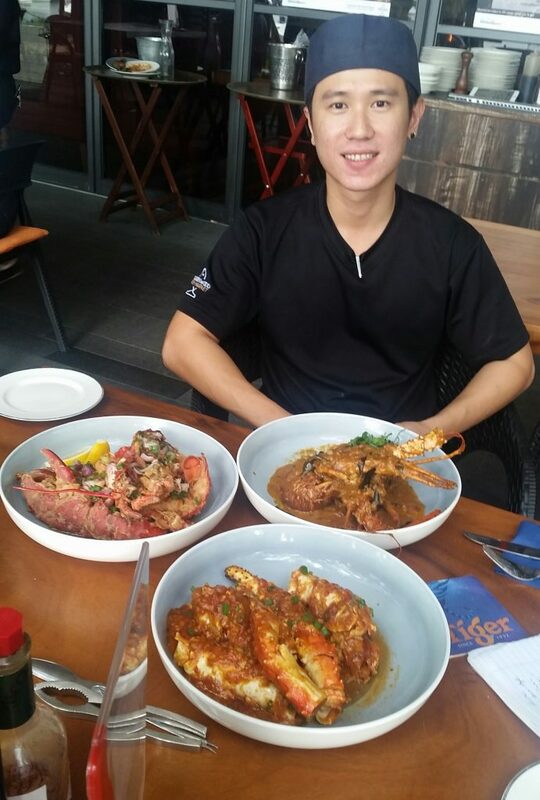 These are cooked in six different styles – steam, chargrill, black pepper, chilli crab, Thai chilli and laksa. Importantly, the dishes – Boston Lobster ($69.95), Rock Lobster ($69.95), King Crab Leg ($69.95), Mud Crab ($89.95) and Dungeness Crab ($89.95) come fresh. It takes just 10 minutes for Ryan and his team to prepare the dish of your choice. My favourite is the lobster cooked Thai chilli style, with laksa a close second. The sauce for the first dish has a good sweet, sour and spicy mix. The laksa has the potential to be a hit as the paste is finely blended and has a flavourful base. It goes well with hot bread. 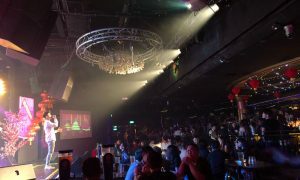 The sauce for the chilli crab is a bit overdone and overpowering. 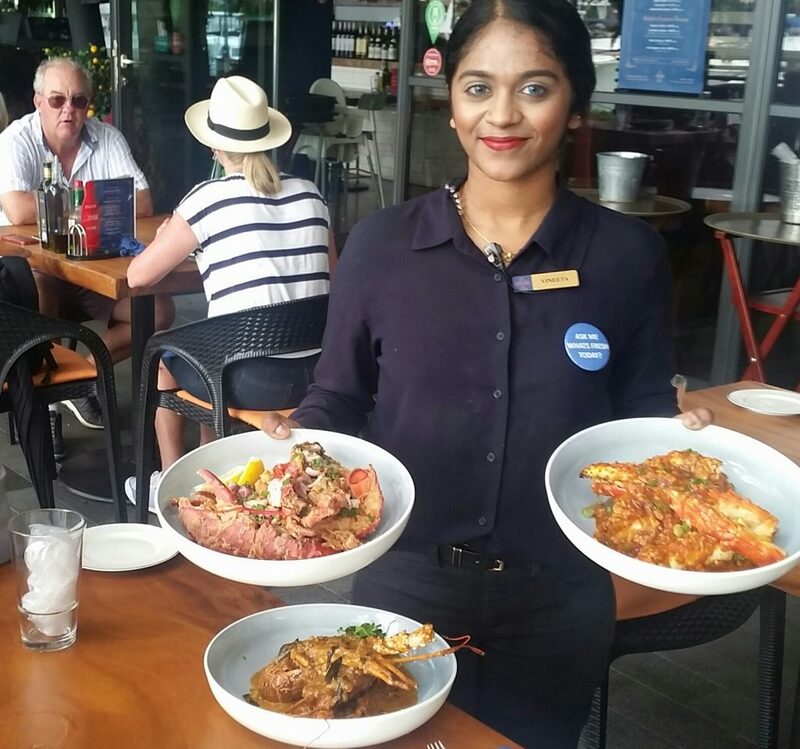 With a light breeze from the sea and wine to accompany, these crustacean dishes are enjoyable to consume at Greenwood Fish Market’s Quayside outlet, which is usually packed during Friday and weekends. Boston lobsters can be had for $44.95 (usual price $89.95) on Lobster Monday. It is a flat 50 per cent off on oysters on Oyster Tuesday, which customers can also enjoy at the Greenwood Avenue outlet, opened in 2003. Top-choice oysters from countries such as Canada, France and Ireland are served on Oyster Tuesday. The World Oyster Festival, held every year in July at both outlets, serves a selection of oysters from all over the world. It has been getting good support and Li said, given the popularity of its dishes and products, Greenwood Fish Market will be opening two more outlets, at River Valley and Dempsey, soon.